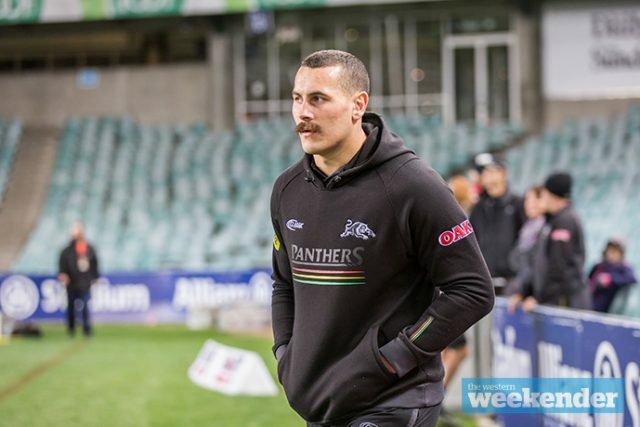 Panthers prop Reagan Campbell-Gillard has signed a new multi-year deal that could see him remain at the club for life. 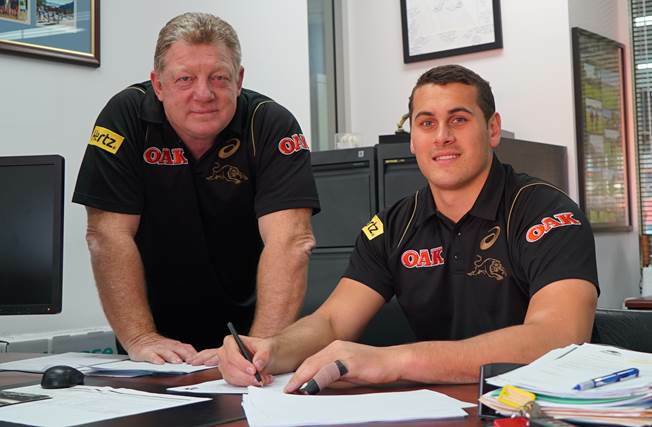 The 24-year-old’s new deal will see him stay at Penrith until at least the end of 2024. He was off-contract at the end of next season. “The fact my future is now secure means I can completely focus on building and improving my game moving forward. “The club has shown a lot of faith in me with this deal and now it’s up to me to repay that faith with my performances. The Weekender‘s Masked Panther revealed in March that the club was keen to extend Campbell-Gillard’s contract before other clubs could approach him in November. A local junior, Campbell-Gillard tasted premiership success as he progressed through the grades at Panthers. He was a member of the club’s premiership-winning NYC side in 2013 and backed up with victory in the NSW Cup Grand Final in 2014. 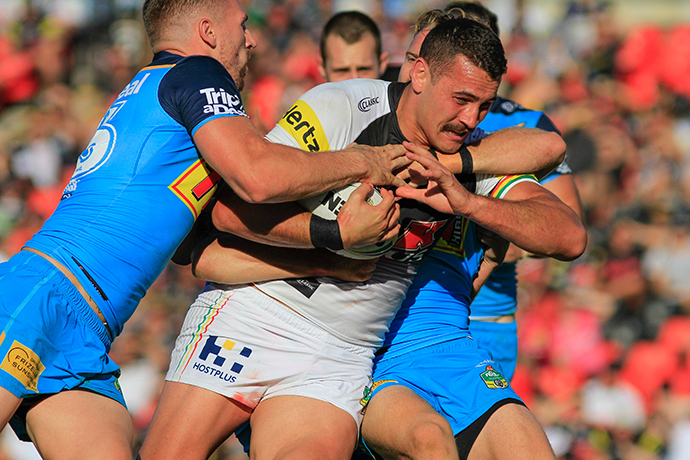 He made his NRL debut in 2015 and played every game in his rookie season, capped off by being named the club’s Ben Alexander Rookie of the Year. 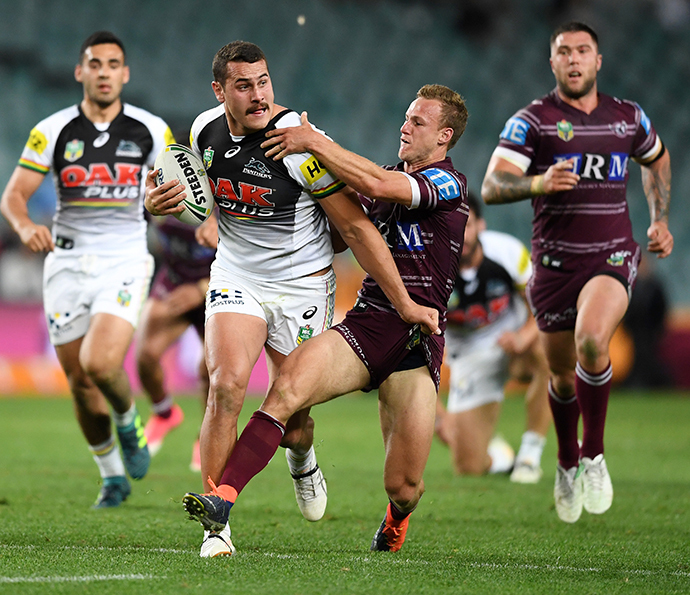 In 2017 he won the club’s prestigious Merv Cartwright Medal and his form was rewarded with a Test debut for the Kangaroos at the Rugby League World Cup. This year he earned his first NSW State of Origin jersey, before unfortunately being ruled out of the remainder of the series with a broken jaw. Meanwhile, the Panthers have also re-signed forward Kaide Ellis on a new two-year deal, keeping him at the club until at least the end of 2020.